Joanna Stachurski and her team at the ibis budget Cergy-Pierrelaye welcome you. 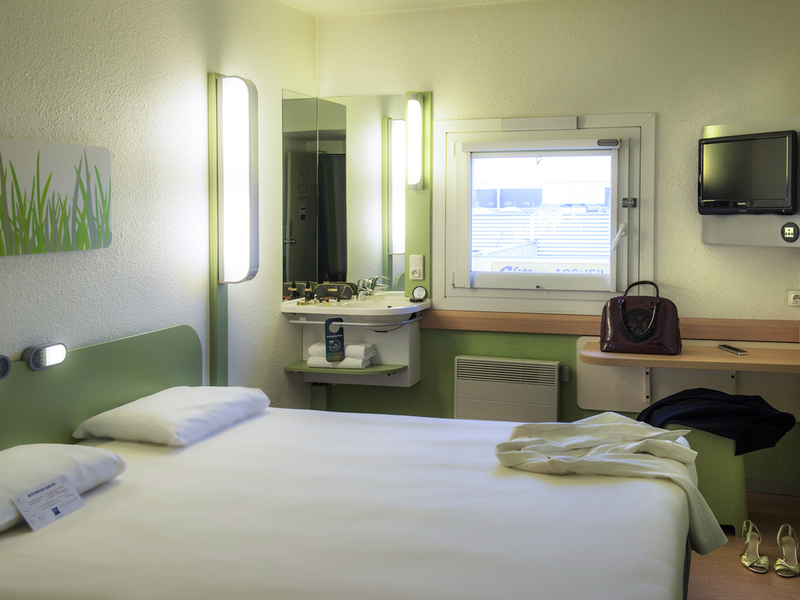 Ibis budget (formerly Etap Hotel), the smart accommodation choice! When you travel, stay in a modern, comfortable, newly designed "Cocoon" room for 1, 2 or 3 people, equipped with a shower, toilet and TV, for a very affordable price. Enjoy the benefits of a delicious breakfast at a great price! Free WIFI in all rooms.